One of the great questions of the 21st century is: What is the true nature of Islam? There are two distinct answers to this question from the media and leaders. The popular message is that Islam is one of the great world religions, a peaceful religion, a foundation of world civilization, its Golden Age was the highpoint of history, and it preserved Western thought while we were in the Dark Ages. The alternative message is that Islam is a brutal, backward, woman abusing, violent, intellectually narrow ideology that is out to annihilate civilization. Which side is right? How do we resolve this issue? Can it even be resolved? If we turn to the “experts” of any of the opinions, they will tell you that their view is correct. What then is the ultimate authority that will give us a firm foundation for reasoning and judgment about Islam? Is it possible to use critical thought or must we just accept the authority of experts? There is way to achieve consensus about ideas that goes beyond expert opinion. The use of facts along with logic is the basis of critical thought. The ultimate form of critical thought uses measurements and numbers to resolve questions. This paper will use the foundational texts of Islam and measure the importance of ideas by how many words are given to concepts. The assumption is that the more content that is devoted to a subject, the greater the importance of the subject is. As an example: the Koran devotes 64% of its text to the subject of the unbeliever. This is assumed to imply that the unbeliever is important in Islamic doctrine. The use of critical thought may seem counter-intuitive since many people view Islam as a religion that does not have a rational basis. Actually, Islam is not only rational; it is hyper-rational, but it uses another form of logic than the one we take for granted. When this is repeated as a public testimony, you become a Muslim. However, this statement is not only the beginning of Islam, it is also the foundation and totality of Islam. It is not enough to worship Allah; you must worship as Mohammed worshipped. Who is Allah and where do we learn about Him? This question points directly to the Koran. Then the Koran, in turn, points directly to Mohammed. It says 91 times that Mohammed is the perfect Muslim. He is the divine human prototype, the only pattern acceptable to Allah. The actions and words of Mohammed are so important that they have a special name—Sunna. We find the Sunna in two texts. The Sira is the biography of Mohammed and the Hadith is the collection of hadiths (small stories, traditions) about Mohammed. Islam is based on Koran and Sunna. Since the Sunna is found in the Sira and the Hadith, this means that three books contain all the doctrine of Islam—the Trilogy. If it is in the Trilogy (Koran, Sira, Hadith), then it is Islam. If something is not in the Trilogy, then it is not Islam. All of the Islamic doctrine is found in the Trilogy. Now, we have the complete information with no missing pieces. We have established our first criteria of knowledge. All authoritative statements about Islam must include a reference to the Trilogy to be authenticated. It does not matter what a scholar, imam, media guru, or anyone else says, if what they say cannot be supported by the doctrine in the Trilogy, then it is not Islam. If it is supported by the Trilogy, then it is Islam. We have been taught that the Koran is the source of Islamic doctrine. However, the Koran is only 14% of the total sacred texts 1. Actually, the Sira and the Hadith are 86% of the total textual doctrine 2. Islam is 14% Allah and 86% Mohammed. This is very good news. The Koran is obscure, but anyone can understand the life and sayings of Mohammed. These statistics point to the easy way to know Islam—know Mohammed. Anyone, absolutely anyone, can understand Mohammed and hence, Islam. Islam is a text-based doctrine, so the nature of these texts must be made clear. A Muslim believes that the Koran is perfect, complete, universal and eternal. It does not contain the slightest error and it is the exact words of the only god of the universe. Mohammed is the perfect example of how to live the sacred life. This idea of complete, final, universal, and perfect textual truth is very hard for non-Muslims to comprehend. Most people read the Koran with the attitude of: “Oh, they don’t really believe this.” When Muslims read the Koran, their attitude is: “These are the perfect words of Allah.” Muslims call themselves the “believers” and by that they mean that they believe the Koran is perfect and Mohammed is the perfect pattern of life. Remember, we started with the question: Can we evaluate what the media commentators, politicians, imams and other “experts” say about the true nature of Islam? Yes, we can know the true nature of Islam—it is found in the Trilogy. If what the expert has to say can be supported by the doctrine found in the Trilogy, then it is valid, since the Trilogy is the final arbiter of all opinions and statements about Islam. Critical thought provides a powerful first step. Now, let us measure the doctrine of Islam. The following cases show how the technique of counting the number of words that are devoted to a topic can be used to discover the dominant themes of Islamic texts and, hence, Islamic doctrine. Mohammed can be clearly understood, but the Koran must be the most famous book that has been read so little and understood even less. Contrast this with Mohammed’s day. In the Sira (the biography of Mohammed), we find accounts of illiterate Muslims debating the meaning of the Koran. The Muslims of Mohammed’s day understood the Koran for a simple reason. The Koran of 632 AD (Mohammed’s death) is not the one of today. Every verse had the immediate context of Mohammed’s life. A new verse had the context of what he needed at that time. To all those near Mohammed, each new verse made sense; it had a context and therefore meaning. The voice of Allah resolved Mohammed’s problems. It is Mohammed’s life that gives the Koran its context and meaning. The Koran of the bookstore is not the historical Koran of Mohammed, because Uthman, a caliph (supreme ruler) had it arranged starting with the longest chapter and ending at the shortest chapter. After he created the Koran we know today, he burned the originals. The time and story have been annihilated by the rearrangement. From a statistical point of view, the text was randomized and, hence, very difficult to understand. It is an easy task to reconstruct the Koran of Mohammed’s day, the historical Koran. Take the Koran and rearrange the pages of the chapters in the proper chronological order in a line on a table, since the time order of the chapters is well known. Then take the pages of the Sira (Mohammed’s biography) and lay them out in a line beneath the Koran. It will be seen that the Sira and the Koran fit together like a key in a lock. The Koran is the warp and the Sira is the woof that forms a single fabric, the historical Koran. If these two are integrated into one text, the historical Koran is reconstructed. When this reconstruction is done, the Koran becomes the epic story of the rise and triumph of Islam over all of the native Arab culture. The historical Koran is straightforward and not confusing at all. Just as in Mohammed’s day, anyone can understand it. The historical Koran reveals the primary division of the text. The early Koran written in Mecca is very different from the later Koran written in Medina. The early Koran is more religious and poetic. The later Koran is more historical and political. There is a radical change in its tone, subject and language in the two texts. The difference is even clear to a first-time reader. There is a Meccan Koran and a Medinan Koran. The relative sizes of the two Korans are: Meccan Koran is about 64% of the total Koran; the Medinan Koran is 36% of the total 3. There is a second division that overwhelms the reader of the historical Koran. A majority of the text concerns the kafir (unbeliever). It is not about being a Muslim, but about the kafir. A note: most Koran translations use the word “unbeliever” instead of kafir, but kafir is the actual Arabic word. This term is so important and so unknown that the meaning of kafir must be defined. The original meaning of the word is one who covers or conceals the known truth. A kafir knows that the Koran is true, but denies it. The Koran says that the kafir may be deceived, plotted against, hated, enslaved, mocked, tortured and worse. The word is usually translated as “unbeliever” but this translation is wrong. The word “unbeliever” is logically and emotionally neutral, whereas, kafir is the most abusive, prejudiced and hateful word in any language. There are many religious names for kafirs: polytheists, idolaters, People of the Book (Christians and Jews), atheists, agnostics, and pagans. Kafir covers them all, because no matter what the religious name is, they can all be treated the same. What Mohammed said and did to polytheists can be done to any other category of kafir. Islam devotes a great amount of energy to the kafir. Not only is the majority (64%) of the Koran devoted to the kafir, but also nearly all of the Sira (81%) deals with Mohammed’s struggle with them. The Hadith (Traditions) devotes 32% of the text to kafirs 4. Religious Islam is defined as doctrine concerned with going to Paradise and avoiding Hell by following the Koran and the Sunna. The part of Islam that deals with the “outsider”, the kafir, is defined as political Islam. Since so much of the Trilogy is about the kafir, the statistical conclusion is that Islam is primarily a political system, not a religious system. Mohammed’s success depended on politics, not religion. The Sira, Mohammed’s biography, gives a highly detailed accounting of his rise to power. He preached the religion of Islam for 13 years in Mecca and garnered 150 followers. He was forced to move to Medina and became a politician and warrior. During the last 9 years of his life, he was involved in an event of violence every 6 weeks. When he died every Arab was a Muslim. Mohammed succeeded through politics, not religion. There are two distinct growth processes—religion and politics. Teaching and religion grew at a rate of about 12 new Muslims per year. Politics and jihad grew at a rate of 10,000 new Muslims per year, an enormous increase. This is a process yield improvement of over 800%. Politics was almost a thousand times more effective than religion. If Mohammed had continued with preaching religion we can extrapolate that there would have only been 265 Muslims when he died, instead of the 100,000 that resulted from his politics and jihad. This gives us an estimate of 265 conversions due to religion and 99,735 [100,000 minus 265] conversions to due the political jihad process. We can calculate the relative contributions of religion and politics in growth. Islam’s success was 0.3% religion and 99.7% politics [265 of 99,735] at the time of Mohammed’s death, 632 AD. This political importance is reflected in the text of the Sira. There are many more pages devoted to a year of jihad than there are devoted to preaching Islam. It is instructive to see the amount of the Sira text devoted to these stages of development 8. The Sira devotes about 5 times as many words to politics than religion on a yearly basis. It gives politics 5 times the coverage because it is that much more important. Islam’s political nature is also found in the Hadith that devotes 37% of its text to the kafir. There would be no Islam today, if it were only a religion. Statistics show that Islamic politics is what brought Islam success, not religion. To say that Islam is the religion of peace misses the point, since the religion is not the core of Islam’s power. It is politics that count, not religion. 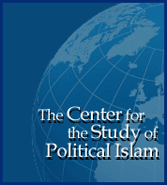 The statistical conclusion: Islam is primarily a political ideology. Not only are there two Korans, Meccan and Medinan, that are different in tone and subject matter, but also the Koran has many verses that contradict each other. Koran 2:219 says that Muslims should be tolerant and forgiving to People of the Book. Koran 9:29 says to attack the People of the Book until they pay the jizyah, the dhimmi tax, submit to Sharia law and be humbled. Which verse shows the true nature of Islam? The Koran recognizes its contradictions and even gives a rule to resolve the contradictions. The later verse abrogates (supercedes) the earlier verse. This does not mean, however, that the earlier verse is wrong or in error. This would be impossible since the fundamental hypothesis is that Allah created the Koran and, hence, the earlier verse must be true or Allah would be wrong. Abrogation has an impact on the arguments about the true nature of Islam. At endless interfaith dialogs, the early tolerant verse is quoted to show the nature of Islam as being peaceful. When both verses are quoted and then abrogation is applied, we see that the later verse trumps the earlier tolerant one. Jihad abrogates tolerance. In general, the Medinan Koran abrogates the Meccan Koran. In the two verses above, tolerance is abrogated by jihad against the Christians. But, the earlier verse is true and still used. Abrogation does not negate the early verse. Indeed, the earlier “peaceful” verse that is abrogated is the one most apt to be used in public discourse. This creates a logical problem, since if two things contradict each other, at least one of them must be false. This is a fundamental element of Western unitary logic. In Koranic logic, two statements can contradict each other and both are true. This is dualistic logic. An alternative explanation is that the early verse is first stage in a process, like a seed, and the later verse is a second stage, like a plant. There is truth to this, but the process model does not take into account the fact that both truths are available at the same time. To go back to the analogy, you don’t have the seed and the plant at the same time. The verses contradict each other and are both true at the same time. This is dualistic logic. The contradictions are usually explained by abrogation, the classical doctrine, but the principle of abrogation is limited to the Koran. Duality includes the special case of abrogation and it explains how the entire doctrine of Koran and Sunna work. It is not just the Koran that is contradictory, but all of the Sunna. Another dualistic aspect of Islam is its ethics. One of the chief features of Islam is the doctrine of the kafir. It treats them dreadfully and horribly. No one would ever want to be treated as a kafir is treated in the Trilogy. This leads us to the Golden Rule. There is no Golden Rule in Islam because of the division of humanity into believer and kafir. The Golden Rule is to treat ALL people as you would be treated. Since no one wants be treated like a kafir, and the kafir is so central to Islamic doctrine, it proves that Islam has no Golden Rule. Islam has one set of rules for Muslims and another set of rules for kafirs. This is dualistic ethics. An example of the dual ethics is the subject of friends. The Koran has 13 verses that say that a Muslim is not to be a friend of kafirs. One of the biggest examples of ethical dualism in Islam is the Jews. The Meccan Koran is filled with stories about Moses, Noah, Adam, and other Jewish figures. The early Koran is very Jewish. The perception of the Jews completely changes in Medina. Every verse, story, and hadith is negative and anti-Jew. The Trilogy devotes a great deal of material to the Jews 9. The Trilogy of Medina is even more negative about the Jews than Hitler’s Mein Kampf. What marks the biggest difference between Mein Kampf and the Trilogy is that Hitler did not write a first section in Mein Kampf detailing how much he admired the Jews. There is a contradiction about how the Koran treats Jews in Mecca and how they are treated in Medina. Due to dualistic reasoning, both attitudes about the Jews are true, at the same time. In the face of these negative statistics, everyone knows of good verses in the Koran. Exactly how much material in the Koran is positive for kafirs? There are 245 verses, 4,018 words, in the Koran that say something positive about kafirs. This is about 2.6% of the total Koranic text 10. However, in every case, the verse is followed by another verse that contradicts the “good” verses. Also, except for 7 verses (58 words), the “good” verse is abrogated later in the same chapter. The other 7 verses are contradicted in later Suras. The media emphasizes Islam’s positive verses about the People of the Book, the Jews and Christians. Even this turns out to be illusive. Christians and Jews receive the goodness of Islam only if they agree that their sacred texts are corrupt, the Koran is true, and that Mohammed is a prophet of the Christian and Jewish religion. In the end there is no unmitigated good for kafirs in the Koran. What good can be found in the 2.6% of the text is denied later. Jihad must be one of the most famous Islamic concepts. It takes up a large portion of the Trilogy. Material for jihad is 24% of the Medinan Koran and 9% of the total of the entire Koran. Jihad takes up 21% of the Bukhari material and the Sira devotes 67% of its text to jihad 11. However, we do find in the Hadith that some hadiths refer to some religious acts that are equal to jihad of the sword. These quasi-greater jihad hadiths total 2% of the Bukhari hadiths that relate to jihad. Of course, the other 98% of the hadiths devoted to jihad claim that jihad of the sword is the supreme act. The statistical answer to the true nature of jihad is that the “greater jihad” of inner struggle is 2% and the “lesser jihad” of the sword is 98%. In other words, jihad is overwhelmingly violent and a little inner struggle. Statistics also give us a measure of the importance of the jihad of pen and mouth. The Sira devotes 23% of its text to war poetry that is propaganda. This poetry, which is not the only example of how Mohammed used propaganda for his jihad, furnishes us with an insight into its importance. The Sira devotes roughly a quarter of its jihad text to the jihad of the pen and mouth, and three quarters of the text to jihad of the sword. The Sira makes no mention of the “greater jihad”, the inner struggle. Islam demonstrates duality in its treatment of women. There are separate sets of rules for women that come from the Koran and the Sunna. The Islamic Trilogy has a large amount of material that forms the doctrine about women. Each verse can be judged on the position of the female in society. There are a number of verses that praise the mother above all men. There are many verses that say that women and men will be judged equally as to their actions on Judgment Day. In many cases there is no power relationship at all; it is a neutral reference. Notice the broad trend here. In both the Koran and the Hadith the profiles are similar. There is very little high status and a small amount of equality. The great majority of the Koran and Hadith text places the woman in an inferior or low status to men. This is not unexpected. The Koran and the Sunna are the warp and woof, a single fabric, of Islam. We have always had an interest in numbers as they relate to life. There are two numbers that come up repeatedly in Islam. The number “1” comes up with the constant proclamation of there is only one god. What is noticeable is how often the number “2” arises. There are two Korans, the division of humanity into two groups, believer and kafir, two manifestations of Mohammed, the preacher and the politician. Even the Shahada [the testimony to become a Muslim] is made of two parts, one is about god and the other is about Mohammed. The ultimate statement is both divine and human, dualism. Islam’s ethics are dualistic and based on the division of humanity into two classes, believer and kafir. The Koran advances a dualistic logic. Islam uses the practice of political duality to try to attain the goal of spiritual unity. Statistics give us a very different vision of any text, but in the case of Islamic texts, it is a revelation. Statistics show us an entirely different view of Islam. The statistical vision is holistic and includes the entire text as a reference. It is a common criticism that any negative comment about Islam is taken out of context. Statistics gives us a complete context. A question was posed at the beginning of this article: How do we decide which is the true view of Islam? Based upon unitary logic, we expect that one side or the other is true, but in a dualistic truth system both sides of the question can be valid. Therefore, the proper answer is that both sides are true. In fact, the question is poorly posed. You can never resolve the question by looking for the one true answer. It does not exist in a dualistic system. Instead statistics must be used to measure the answer. We saw, in the case of the lesser jihad/greater jihad that jihad is 2% inner struggle and 98% lethal force. Only statistical answers can be used in a dualistic system. The well-posed question is how much doctrine is on one side of the question and how much doctrine is on the other side? Statistical models give us a systemic look at Islamic doctrine and show broad trends. The usual verse-quoting method not only ignores Mohammed, but also examines a single point, a verse. Statistics gives us a macro-view, not a micro-view. We can see the entire pattern and can identify the general principles at work. Critical thought brings new insights to the study of Islam. Islam is not a matter of opinion, but has a solid rational basis in its foundational texts. Simple statistics reveal the systemic nature of Islamic doctrine. Islamic doctrine is found in the Koran, the Sira and the Hadith—the Trilogy. Any explanation of Islam that does not include the doctrine found in the Trilogy is wrong or incomplete. The Koran is a small part of Islamic doctrine. The Sunna of Mohammed is textually more important than the Koran. The Koran can be understood by reconstructing the Koran of Mohammed, the historical Koran. The kafir is the major doctrinal focus of Islam. The kafir has the lowest status of all animal life. The doctrine of the kafir is defined as political Islam. Islam’s success was not based on the religion alone, but also on politics and jihad. The Sira devotes most of its attention to jihad and politics, not religion. Islamic doctrine is dualistic in its reasoning and ethics. Jew hatred is an integral part of the Trilogy. There is no unmitigated good in the Koran for kafirs. Jihad was integral to Islam’s success and forms a large part of the Trilogy. The Islamic doctrine subjugates women. It is clear by now that there is an intellectual underpinning to this paper. The actions and words of Muslims have their foundation in the doctrine of Islam found in the Koran and the Sunna, the Trilogy. This doctrine must be analyzed and understood on a rational basis and on its own merits. Know the foundational doctrine and apply it to every action by Muslims, but first know the doctrine. If an opinion or comment about Islam does not have a reference, or a possible reference, to the foundation of the Trilogy, then the opinion has no merit. In the Bible, the Book of Revelation cryptically asserts the number 666 to be “the number of a man” who is associated with the “beast.” The reader is then challenged to decipher the symbolism of this number—a challenge that has inspired mystics and would-be prophets ever since. Today, nearly two thousand years after the Book of Revelation was written, the Mark of the Beast remains an enigma to most. The long list of presumptions and theories surrounding the Mark, while solidly grounded in the popular culture and thinking of our day, fail to provide any specific or biblically sound explanation for this puzzle. Perhaps the Mark of the Beast, like some of the other prophetic riddles, was intended to remain shrouded in mystery until the appointed time. In previous chapters, it has been proposed that Islam is the key to understanding many of the prophecies concerning the end of the age. Might this also be the case regarding the Mark of the Beast? A recent discovery has led many to believe so. In what is considered by some to be the ultimate in irony, it appears as though a man who was once a devout Muslim may have solved one of the great Bible mysteries of all time. In this chapter, we are going to examine what is believed by many to be the first truly plausible explanation for the infamous Mark of the Beast. The source of this discovery is an ex-Muslim turned Christian who noticed something very peculiar while studying a specific passage in the Book of Revelation. Indeed, in his 2005 book entitled, Why I left Jihad, Walid Shoebat brings to light a simple, yet profound, observation that will forever change the way many people look at this ancient Bible mystery. After centuries of dead-end theories and fruitless attempts at decoding the number 666, it seems that one of the missing ingredients needed to solve this age-old riddle was an individual well versed in both the Bible and the religion of Islam, and who was also looking in the right place at the right time. Without a doubt, Walid’s explanation for the Mark of the Beast approaches the topic from a completely new perspective— one previously unexplored by those who have sought to identify the true origins of the Antichrist. Before we delve into the details of this discovery, we are first going to address some of the commonly held beliefs and perceptions surrounding the Mark and, also, explore some of the dilemmas faced by those who have previously grappled with this mystery. This will ultimately serve to enhance our appreciation of what can only now be recognized as the decidedly clear-cut meaning that is has held all along. We begin our brief background study by asking the most fundamental question of all. The understanding held by most with respect to the Mark of the Beast, or “666,” is that this “mark,” or “number,” is an identifying sign of the Antichrist and his followers. Many also believe that the Mark will somehow be tattooed on, or physically implanted into, the Antichrist’s minions. Yet, beyond these basic notions, few have given the matter much thought. For those who seek the answers, however, the Bible does provide some crucial information about this mark: First and foremost, according to Scripture, the Mark is essentially used as a means to distinguish the followers of the Beast from the followers of God. By accepting the Mark of the Beast, one displays his dedication to the Antichrist and, at the same time, his opposition to the God of the Bible. The Scriptures also tell us that those who take the Mark will be subject to some unique benefits, as well as some extreme punishments. For instance, the Book of Revelation speaks of a time when the only ones allowed to buy or sell will be those who have taken the Mark of the Beast: “And that no man might buy or sell, save he that had the mark…” (Revelation 13:17). Conversely, we learn that these same people will be subject to God’s divine punishment for taking the Mark: “The same shall drink of the wine of the wrath of God…” (Revelation 14:10). Is the Mark a Product of Technology? With the advent of modern technology, some students of prophecy have assumed that the Mark may somehow be related to a type of invisible bar code system or, perhaps, a microchip implant with the number 666 encoded into it. Although, these scenarios do not seem very realistic, or practical, when one considers the fact that much of the world’s population—particularly many of the remote areas in the Middle East—have yet to see a credit card, or a bar code scanner, for that matter. Still other problems crop up that seem to render the technology based scenarios implausible. To begin with, there is the obvious difficulty associated with implanting untold numbers of people with a microchip or marking them with some type of bar code. Further, if a microchip tracking system became a reality, it is conceivable that one could approach a person who is sleeping—or in an otherwise vulnerable position—and literally force the mark upon them, thus labeling them as a follower of the Beast without the individual ever having a choice in the matter. The Bible makes it clear that those who take the Mark will be cast into Hell. Considering this, it does not stand to reason that God would allow this fate to befall those who were forced to take the Mark and therefore robbed of the opportunity to exercise their free will and refuse it. Here, we find the “number of the beast,” as it is referred to in the Scriptures (Six hundred threescore and six). Yet, how is one to make sense of this number? We conclude from the verse that this number is, again, associated with “a man,” but beyond that we are given no further clues. In our search for the relationship between this number and the Antichrist, we begin with some very old Bible scrolls that appear to record the number 616 instead of 666. There is also a record of at least one copy having the number 665. Obviously, these inconsistencies present some problems for those hoping to decode the meaning of these digits. Even if one were to eliminate the two anomalies (616 and 665) and focus on the widely accepted 666, there are multiple reasons why attempting to decode a number presents a problem. For example, a popular technique that many students and scholars have employed in their efforts to decipher the meaning of 666 is the Gematria. The Gematria is a mystical form of numerology that assigns a numerical value to each letter of any given name. The sum totals of the letters are then added up, resulting in the number of that individual’s name. While intriguing, there are a variety of problems associated with this approach. The most obvious being that this practice has been labeled as occultism by many, which is strictly forbidden in the Bible. Also, one could imagine that almost any name might be manipulated in some fashion to produce the number 666. For instance, this method has been used to identify numerous public figures as the Antichrist, including our own Ronald Reagan, as well as Mikhail Gorbachev, and even Prince Charles! An additional problem with the Gematria arises in determining which language should be used when assigning the numerical values. Despite the fact that the Gematria is rooted in the Hebrew alphabet, many scholars believe, for various reasons, that Greek, Latin, or even English, should be applied to solving this particular riddle. The problems only compound from there. Faced with the increasingly daunting task of decoding this number, we pause to consider a key question: Would God tell us in this verse to “count the number of the beast” if it were an unsolvable puzzle with many possible answers? The answer is, of course, no. This verse was included in the Bible so that it could be understood by the reader. Though, again, perhaps it would not be fully understood until the appointed time. Having addressed the numerous difficulties associated with this ancient riddle, we return to the original source of a recent and eye-opening discovery: author and speaker, Walid Shoebat. Evidently, while studying the aforementioned Bible passage, which reveals the “number of the beast” in its original language From Abraham to Armageddon 20 4 (Greek), Walid immediately noticed a peculiarity that led him to question whether the number 666 was actually intended to be a number at all. Was it possible that this “number” was originally something altogether different? What Walid had noticed, through his Arab—and formerly Muslim—eyes, was that the Greek letters used to denote the number 666 (Chi Xi Stigma), looked very much like Arabic words and Islamic symbols. In fact, they looked eerily similar to the Arabic phrase “In the name of Allah,” followed by the symbol of two crossed swords! Owing to his insider’s perspective, Walid recognized that the crossed swords are universally used to signify Islam. They can be found on virtually every letterhead within the Islamic world, as well as the emblems or logos of most Islamic groups. He was also, of course, well aware that “In the name of Allah, most gracious, most merciful,” is the most commonly used phrase throughout all of Islam. One can only imagine the effect that this jaw dropping revelation must have had on Walid, as he noticed the correlations between the Greek and Arabic symbols. Incredibly, the only difference between the Islamic phrase and the Greek text was that of orientation: In the Greek text, the characters appeared to be positioned sideways, or vertically, rather than horizontally. The images below help to illustrate. The image on the far left is from the Codex Vaticanus (Greek) Bible, A.D. 350, and illustrates exactly what the characters Chi Xi Stigma, or “666,” look like in the original New Testament text. The center image is Arabic and is commonly seen throughout the Islamic world. It spells out “In the name of Allah,” followed by two crossed swords (note that Arabic reads from right to left). The image on the far right is, again, taken from the Codex Vaticanus but with the symbols that resemble “in the name of Allah” flipped, as the Arabic would read. Note the striking similarities between the center and right side images. The similarities between the flipped Codex Vaticanus and the Arabic symbols are, quite simply, astonishing…For the sake of further comparison, let us take a look at some other examples. Above, we have four different variations of the phrase “in the name of Allah, most gracious, most merciful,” as it appears in Arabic. In spite of the diversity in style and character placement, the phrase that Walid found in the Greek text, “In the Name of Allah,” or “Bism Allah” in Arabic, can be clearly picked out (toward the right side) in each version. Here, we have two additional examples of Greek Bible texts. The one on the right is a Hinds & Noble interlinear version that provides the English translation directly beneath the Greek text ([is] 666). The “sideways” Allah and the crossed swords are clearly identifiable in each version. Again, in spite of the slight style variations, there is no mistaking the uncanny likeness between the Greek and Arabic characters and symbols. Common sense would seem to dictate that the odds of this happening by sheer coincidence are beyond calculation. Could it be that the true meaning of the Mark of the Beast has been hidden in plain sight all along? Presuming that the Mark of the Beast is, in fact, “in the name of Allah,” certain questions come immediately to mind; the most obvious being, how could this go undetected for nearly two thousand years? Unfortunately, we can only speculate as to the combination of events that may have led to the initial concealment of the Mark, but there is a scenario that seems plausible. As chronicled in the Book of Revelation, the Apostle John was given a vision of the future in which he was told by an angel to write down what he saw. In this vision, rather than being shown the Greek letters that represent the number 666, John may have actually been shown Arabic words and symbols that he could not understand but, nevertheless, faithfully recorded to the best of his ability. Allowing for this possibility, it seems likely that the scribes who were later commissioned to copy the original text would have been unable to recognize the foreign (Arabic) words and symbols as recorded by John. Faced with these odd-looking characters, they might have done exactly what many people in their position would do, which is to assume a mistake or, perhaps, some poor penmanship on John’s part. Thus, in an effort to make sense of these markings, they may have chosen to slightly modify them into the Greek characters that they most closely resembled. While all of this is purely conjecture, it most definitely merits careful consideration and also begs a further question: Is it possible that God, in His all-knowing wisdom, allowed this to happen, realizing that the meaning behind these symbols would remain undetected until the end times? When one considers the manner in which prophecy has been revealed in the past, this possibility makes sense on many levels. It has been said that when God wants to bring understanding to the forefront, He enables ordinary men and women to discover what has been hidden. Throughout the ages, we find this process at work. As the time of fulfillment nears, elements of the Bible prophecies are understood. For instance, when it came time to discern the timing of Christ’s birth, the wise men from the East determined from the Scriptures that the moment had come (Matthew 2:2). Could it be that the current generation has been called to understand the prophecies concerning the Beast and its Mark, as this same generation will witness their fulfillment? While it is not inconceivable that someone might have discovered the correlations between these symbols and characters at some point earlier in history, it would most likely have escaped detection without the necessary insight of looking to Islam and Allah as being the force behind the final Antichrist Kingdom. Again, perhaps as intended, it has not been until recent years that certain persons of discernment have cast their eyes toward Islam and its possible role in the end times. In light of our new found perspective on the Mark of the Beast, we now reconsider the Bible verse that initially introduced the Mark (Revelation 13:18). Admittedly, after inserting “in the name of Allah,” the words “count” and “number” seem to be slightly out of tune with the rest of the verse. Clearly, these words were intended to reference a number and not a name. Even so, is this awkward wording enough to invalidate the theory? The first word, “number,” is translated from the Greek word, arithmos. Arithmos may also be accurately translated as multitude (peoples and nations). The second word, “count,” which originates from the Greek, psephizo, is also often translated as reckon, or decide. Obviously, when this verse was originally translated it was done so with the understanding that the original author, John, had written a number (Chi Xi Stigma) rather than a name (Arabic characters). It would then stand to reason that the translators, when choosing an equivalent for the Greek word, arithmos, would have chosen “number,” in lieu of multitude. From their perspective, the context of the verse would seem to validate this choice. Likewise, the same reasoning would have been applied when translating the Greek word, psephizo. The translators would have logically chosen “count,” instead of its alternate translation, decide, or reckon, as it would seem to fit more with the reference to a number (Chi Xi Stigma). In order to illustrate to what extent these translational issues can color the subtleties of a passage, we will insert the alternate translations of the original Greek words, arithmos and psephizo, into Revelation 13:18, and then compare the modified verse to the original. By simply replacing the key words with their equally accurate and, perhaps, more appropriate translations, the verse is transformed. The references to “the multitude of the beast” and “the multitude of a man” clearly refer to the legions of Muslims who worship the “beast” (Islam), as well as the religion that was founded not by God but by a “man” (Muhammed). The last line of the verse indicates that “his multitude is in the name of Allah,” further describing the vast numbers of Muslims that worship Allah as god. Remarkably, these seemingly inconsequential judgment calls on the part of translators appear to be the very factor that has enabled the Mark of the Beast to remain an enigma for nearly two thousand years. At this point, although we have dispelled much of the mystery surrounding the Mark by unraveling its true meaning, there is still a key piece of this puzzle that remains unsolved—which prompts an all-important question. How Might the Mark Be Manifested? This verse tells us that all must receive the Mark “in their right Hand” or “in their forehead.” Does this mean that “in the name of Allah” will be literally stamped onto the forehead or right hand like a tattoo or, perhaps, encoded onto a microchip and implanted into the followers of the Beast? Again, these options remain somewhat unrealistic for the reasons that we noted earlier. In view of this, as we search for a plausible answer, we are wise to return to the most untainted source, which is the original Greek text of the Bible. By doing some research, we find that the Greek word, charagma, which has been translated to “mark” in this verse, actually refers to a badge of servitude. Strong’s Hebrew Lexicon defines charagma as the “badge” of the followers of the Antichrist. Thus, the word charagma seems to suggest something that is worn rather than permanently tattooed, or implanted like a microchip. Further, it is worth noting that the phrase “right hand” comes from the Greek, dexios, which may also be translated as “the right side” in general. This implies that the Mark, or badge, might also be displayed on the right arm and is, therefore, not necessarily limited to the right hand. Nonetheless, assuming the Mark to be some sort of badge that displays the name of Allah, what might we expect this to look like? Yet once more, we note the widespread use of the Shahada within the Muslim world. As we know, the Shahada is essentially a declaration of allegiance, or servitude, to Allah and is commonly recited as follows: “There is no god but Allah, and Muhammed is his prophet.” The inscription of this declaration is already worn (as a badge) by millions on the forehead or right arm. It can be seen on Muslim demonstrators and jihadists everywhere. Note the various forms of the Islamic creed, or “Shahada,” imprinted on the headbands (or foreheads) of these jihadists. In most of the images the name of Allah is easily identifiable. Needless to say, the Bible’s description of the Beast’s followers receiving a “mark” no longer seems to be an odd concept. In fact, within the context of Islam, the idea now makes perfect sense and has taken on an altogether contemporary feel. It is certain that as the Antichrist’s Empire comes to power, and people are compelled to declare their loyalty to Allah, the Mark, or declaration of allegiance, will be worn by multitudes of faithful Muslims, as well as some who are, perhaps, merely attempting to avoid persecution—which brings up another interesting question. Must One Display the Name of Allah to Be Considered a Follower of the Beast? Although we have focused specifically on the actual physical wearing of the Mark, it is also quite likely that the Mark carries just as much meaning in the spiritual sense—meaning that a simple declaration of belief in Allah would spiritually mark one as a follower of the Beast. Therefore, in God’s eyes, it would not necessarily be required for one to outwardly wear the Mark in order to be counted among the followers of Allah. We find scriptural support for this concept in the Book of Revelation, which speaks of God’s people being “sealed” (Revelation 7:4) with the “Father’s name written on their foreheads” (Revelation 14:1). This denotes a spiritual seal that identifies one as belonging to God. It is interesting to note that the Mark of the Beast and the Seal of God are both names that are placed on the foreheads of the people who receive them. Evidently, the Beast is attempting to duplicate God’s program by similarly inscribing his mark, or name, on the foreheads of his followers. This tendency to counterfeit the work of God is a recurring theme and is also a distinctive satanic trait which is grounded in the fact that Satan wishes to be like God and actually desires to accept worship in place of Him. Our study of the Mark of the Beast has demonstrated that these particular verses—in order to be fully understood—had to be viewed from the proper perspective and, perhaps, from a particular juncture in time. Once again, the religion of Islam, placed in the role of antichrist, has opened a door to understanding the ancient prophecies— exposing what was previously shrouded in mystery.